ZAVADENKO Alexandra, Doctor EMC. Make an appointment, ask a question. 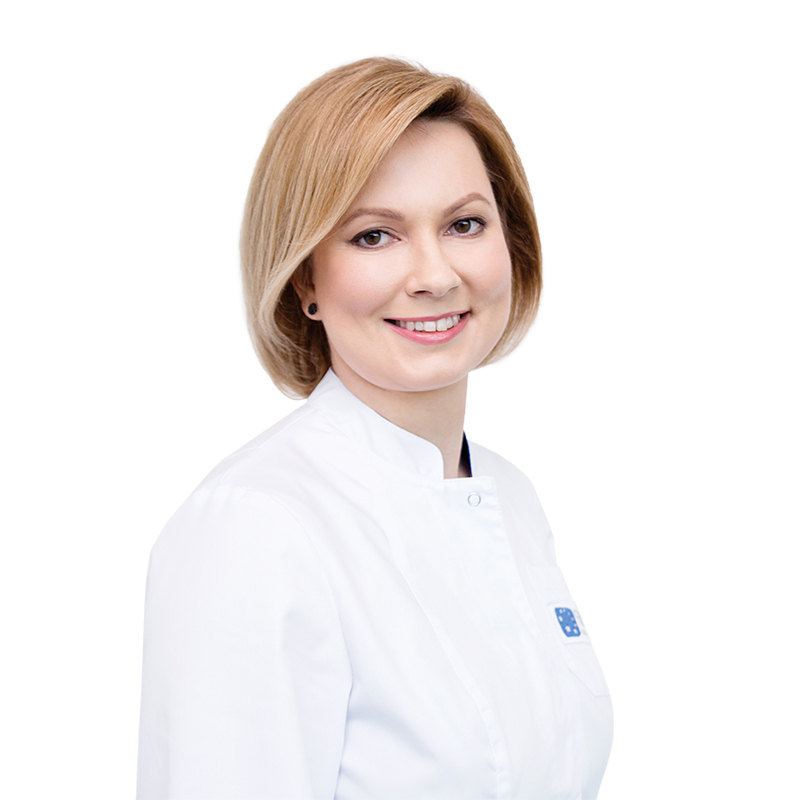 After graduating from the Moscow Medical Academy name after I. M. Sechenov in 2007, she was trained in clinical residency at the Department of pediatric neurology of the Russian Medical Academy of postgraduate education. In 2012, she graduated from the Department of Neonatology of the Russian National Research Medical University. Named after N.I.Pirogov and defended her thesis on the problem of convulsions in newborns. She passed supplementary training and on-the-job trainings: specialization in pediatric clinical electroencephalography at the School of clinical electroencephalography and neurophysiology named after L. A. Novikova (Moscow); training on MRI in the Hammersmith Hospital (London, UK); training course at the Association for research of infants and children development (Cork, Ireland), as well as training program of the International League against epilepsy (ILAE), including a course on the treatment of convulsions and epilepsy in newborns and infants (Venice, San Servolo island, Italy), a course on epilepsy (Nicosia, Cyprus) and a course of resistant epilepsy (Tagliacozzo, Italy). From 2012 to 2018 - neurologist-epileptologist at the Advisory Center of the Morozov’s children's municipal clinical hospital. Since 2010 - senior laboratory assistant, since 2013 - teaching assistant at Neonatology Department of the faculty of additional professional education of the Russian National Research Medical University named after N. I. Pirogov of the Ministry of Health of Russian Federation. ICNA (International Child Neurology Association), Russian society of neurologists Russian antiepileptic League, the interregional public organization of specialists in electroencephalographic and neurophysiological diagnosis in ontogeny. school maladjustment, learning difficulties, attention deficit and hyperactivity disorder.